From the moment that I heard about this book on Social Skills for Autonomous People, I knew that I had to track down a copy. Available from Amazon and at nine libraries throughout the country now (two when I was looking! ), I highly recommend this book, especially if you have any interest in disabilities or autistic self-advocacy. 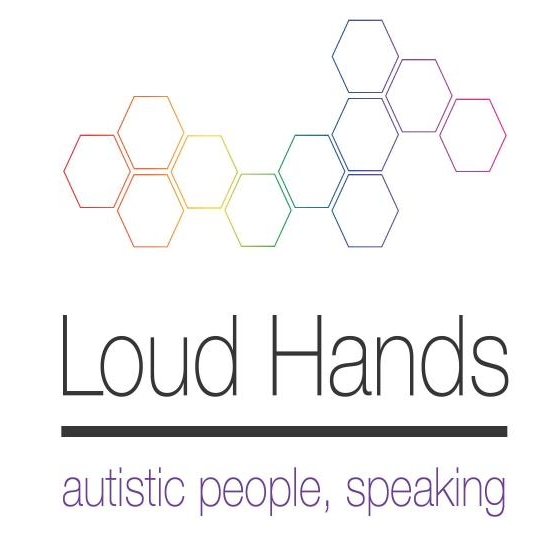 Loud Hands is a collection of essays, speeches, and blog posts from a number of Autistic adults, exploring their fight to be seen as different, not less. Some, such as “Do Not Mourn for Us” explain the frustration that autistics feel when family or friends express a wish that they would be “cured.” Autism, the author explaisn, is a part of who he is and wishing for a cure is tantamount to wishing “that one day we will cease to be, and strangers you can love will move in behind our faces.” This is a sentiment that I had never considered, and I found it very powerful- because I know that autism doesn’t just affect the way that someone speaks, or moves, or communicates, it also affects the way that they think, making it an important part of who they are. Rather than focusing on “curing” autism, and making autistics just like everyone else, the focus should be on improving quality of life- not forcing children to have “quiet hands” if flapping helps them to stay calm, not insisting on verbal speech if someone is more comfortable typing or signing. Other essays were heartbreaking, particularly “Quiet Hands” by Julia Bascom (which you can read here) and “Killing Words” by Zoe Gross (here), which explored the treatment that autistic children have faced. Though as a whole the book was inconsistent and often in need of editing, it was incredibly moving and powerful. I learned so much about what it is like to live with autism, and I certainly re-evaluated many of my opinions and beliefs. I really cannot recommend this book enough if you are interested in autism, or have an autistic family member or friend. This entry was posted in 5 stars – a favorite and tagged autism, Autistic Self Advocacy Network, CBR5, Emalynn, nonfiction. Bookmark the permalink. I’m very interested in autism and disability for personal reasons, and I’d never heard of this book so I’m glad for the heads up! You might like Andrew Solomon’s “Far From the Tree” — a real eye-opener about disability, difference and family dynamics.